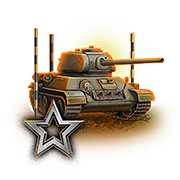 After adding up votes from all European communities, we are happy to announce that Type 5 Heavy will be featured in May Top of the Tree special! The month of April just started and with it yet another Top of the Tree special, this time featuring the German Tier X medium tank, Leopard 1. Make sure to take advantage of it, as such great discounts and bonuses won’t be available forever! The tank featured in the current event was chosen in a special poll by you guys, the community. Now the new poll is open, and you have yet another chance to influence the next Top of the Tree special that will start on 1 May. This time, we mixed it up a little to give the underdogs a fighting chance: log in to your account on the website, and make sure to cast your vote for one of the Tier X vehicles that got the least amount of votes in the past editions of the special! The poll will be active until 14 April.